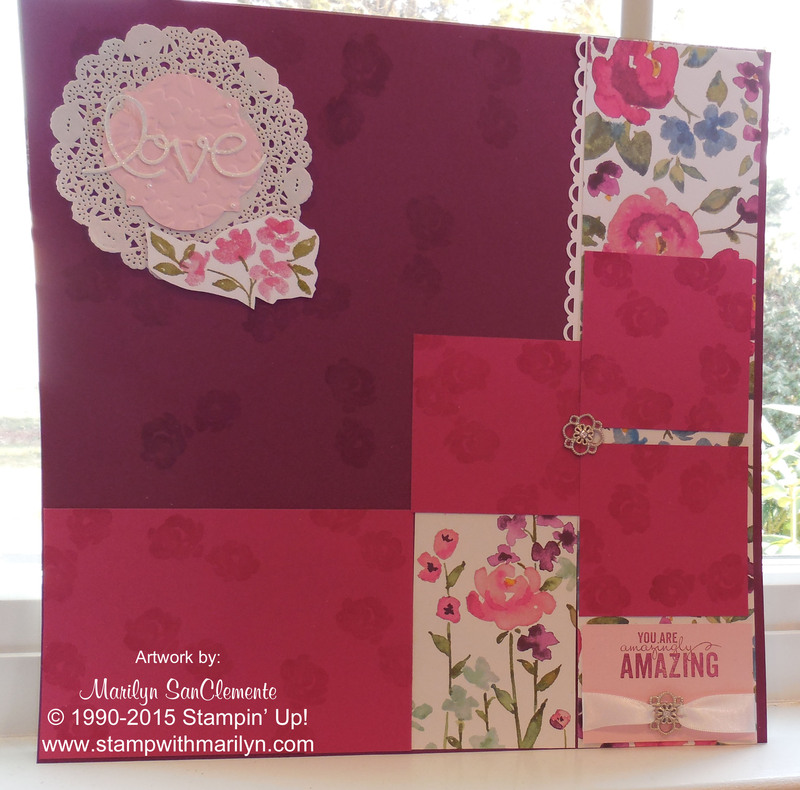 Marilyn SanClemente May 15, 2015 May 15, 2015 Occasions catalog, scrapbook pages, Scrapbooking, Stamper's Club, Stampin' Up! Check out this video that I made for designing these 2 scrapbook pages using stamps to embellish your pages. These scrapbook pages are made using the same layout but different designer papers and colors. The top page uses the Painted Petals Stamp set with the Painted Blooms Designer paper from the Occasions catalog. This page uses a background of Rich Razzleberry Card Stock. The second page is made using the “I Like You” Stampin’ Up! Stamp set and the Something Borrowed DSP. These pages were designed for my Stamper’s Club. My local Stamper’s Club requested a month where we make scrapbook pages instead of card projects… So I made these two pages which are perfect for a wedding, prom or special event! So how does Stamper’s Club work? For a purchase of $35 a month, you receive lifetime access to full color instructions to make the current month’s projects. If this involves a technique, there is a video included showing how to do the technique. Check out more information on my Stamper’s Club HERE. So which Page do you like best?